I am preparing an article about the Guggenheims for publication in our magazine The Shekel. We are a non-profit. 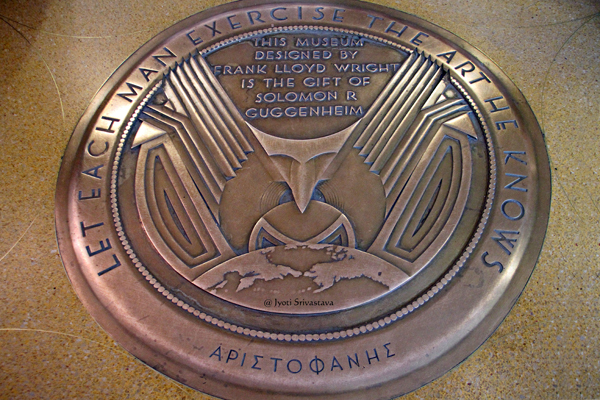 I would like to print your photo of the bronze floor bas relief that you designed for the Guggenheim Museum. If you would be kind enough to grant permission, please indicate what you would like us to print in the credit line. I look forward to hearing from you.